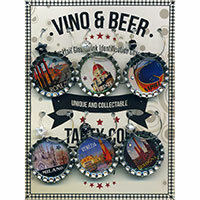 This set of six beautiful, unique and collectible wine and beer glass charm's feature a variety of revamped vintage travel posters from fabulous cities of Italy. These handmade bottle cap charm's are a fabulous way to accessorize and identify your wine glass, martini glass, margarita glass stems, beer mug handles with unique images in each cap. 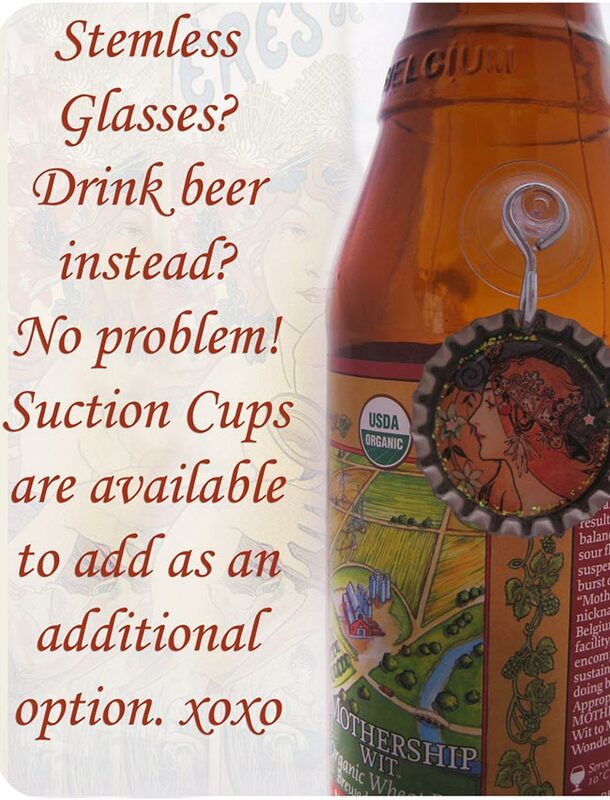 The inside of the bottle caps are decorated with gems and glitter. The miniature photograph is protected by a durable, archival resin that safeguards the image from water damage and fading. 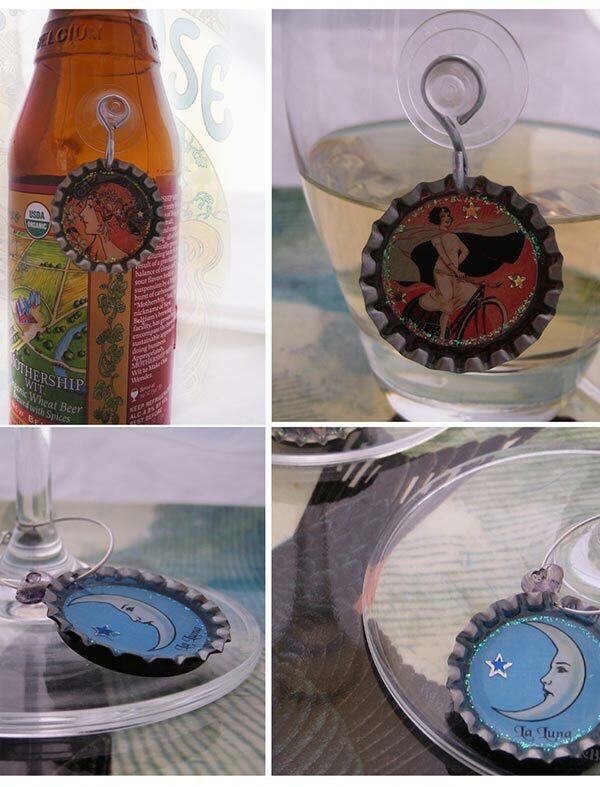 Rendering the charms completely waterproof even if ran through the dishwasher. 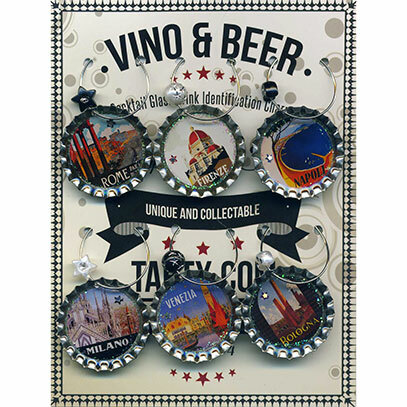 Wine Charms will come with wine rings as shown, however, if you have stemless glasses or drink beer instead - you can add a set of fabulous and functional suction cups for the charms to hang on. 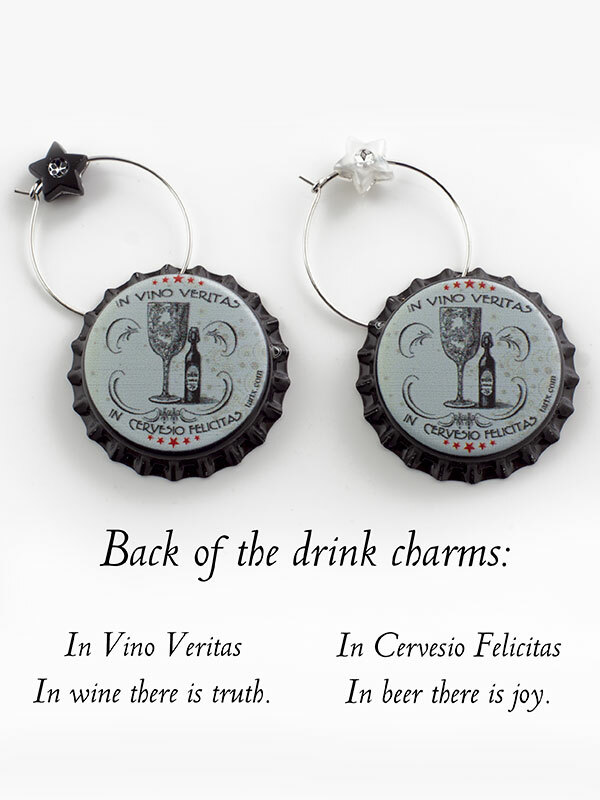 The backs of the bottle caps are waterproof and specially printed with a message In Vino Veritas (In wine there is truth) and In Cervesio Felicitas (In beer there is joy) to help you celebrate your special occasions! 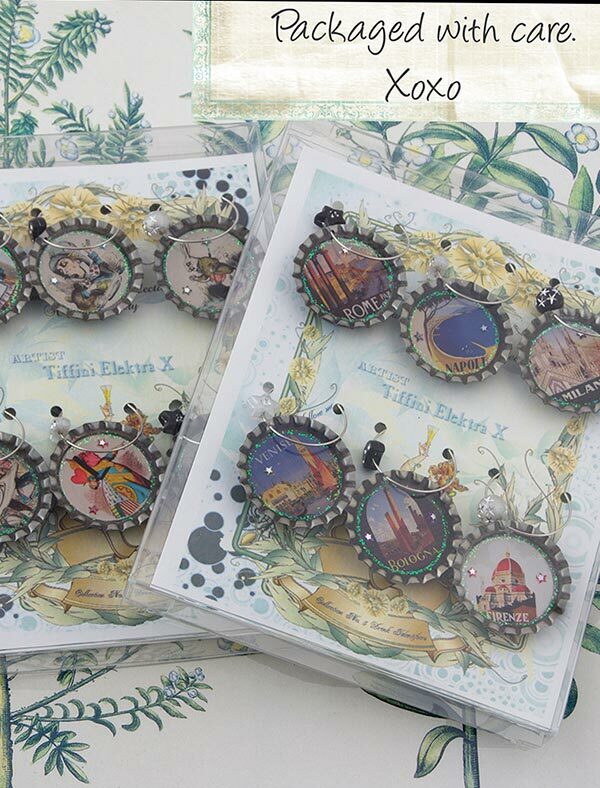 Set of six charms comes packaged with an organza bag for safe keeping when not in use.